Pound sterling, or simply pound, is said to be the world’s oldest still existing currency. It has long been one of the world’s highest valued currency. Although the pound has dropped sharply in recent years, it is worth more than all the other major currencies such as U.S. Dollar, Euro and Japanese Yen. How much is traded for GBP? Sterling, pound, sterling, quid (1 pound), nicker, spud and squid are some of the most common names used for the British currency. The currency is used in Great Britain (ie: England, Wales and Scotland), along with the Channel Islands (ie: Isle of Man, Bermuda, Manz, Jersey and Guernsey). The pound sterling is also used in Gibraltar (alongside the Gibraltar pound), the Falkland Islands (alongside the Falkland Islands pound) and Saint Helena. Other countries where pond sterling are used consist of the following old colonies; The Gibraltar, Falkland Islands and Saint Helena. They all have their local pounds, being separate currencies, pegged at parity to the pound sterling. How much is the Pound Sterling traded? British pound is the third most traded currency in the world. 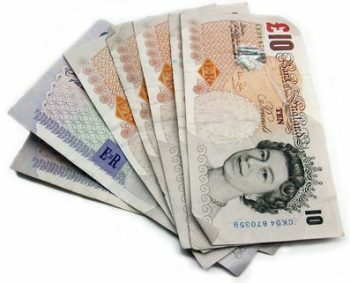 Pound sterling is classified as the world’s oldest currency still in use. The British pound is said to be descended from Anglo-Saxon period, when the coins with the name was coined from sterling silver. 240 of these coins weighing one pound and larger payments that were made in “pounds of Sterling”. The ISO code as both currency traders and money exchange offices use are GBP, while £ is the currency symbol. The symbol for the pounds comes from the big letter of “L”, an abbreviation of the Roman Librae (£) units (librae, solidi, denarii). It been used for pounds, shillings and pence since the early British monetary system came into place. There are two major crises where the pound has been involved. -The crisis of the pound sterling in 1976, when James Callaghan came to power. He was warned early on that the British economy had major problems, which only increased with time. -George Soros speculated in 1992 that the British currency was sharply overvalued. He was later to earn over $1 billion a speculative deal, while the UK currency dropped dramatically over a week. BOE sets interest rates to keep inflation low to preserve the value of your money. The current inflation target is 2 % – a challenge which have been hard to meet during 2009 and the beginning of 2010. Monetary stability means stable prices and confidence in the currency. Stable prices are defined by the Government’s inflation target, which the Bank seeks to meet through the decisions delegated to the Monetary Policy Committee, explaining those decisions transparently and implementing them effectively in the money markets. Financial stability entails detecting and reducing threats to the financial system as a whole. Such threats are detected through the Bank’s surveillance and market intelligence functions. They are reduced by strengthening infrastructure, and by financial and other operations, at home and abroad, including, in exceptional circumstances, by acting as the lender of last resort. Buying pound sterling is best done against euro, yen or U.S. dollars, at least if you consider high volume, transparency and low transaction costs as safety measures. There is no doubt that the USD/GBP, often referred to as ‘the cable’ (after the telephone line over the Atlantic), is the most traded currency against sterling. Great Britain apply flexible exchange rate and can therefore be bought and traded freely. The value against other currencies has been in very strongly. Below are some common notes from Great Britain.